Excellent Air Conditioning & Heating, Inc. is a dependable business that can service all your heating and air conditioning needs. 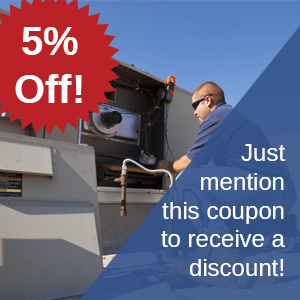 We offer commercial and residential air conditioning installation and maintenance as well as heating services, boiler repair services to all of Long Island. We offer boiler repair services as well as other services including gas boilers, forced air heat, space heaters, radiant heat, heat pumps and water heater repair and services for any Long Island location. Service agreements are also available so that our customers will not have to pay additional fees if their heating system breaks down. If you require a boiler repair for your Long Island home, you will be covered by our service agreement. We also recommend preventive maintenance programs to ensure that your boiler always runs efficiently. During the winter, you want to ensure that your home or business is comfortably heated. You can count on Excellent Air Conditioning & Heating, Inc. for quality boiler repair services and installations for your Long Island home or business location. We have years of experience working with heat systems of all types and sizes. Whenever you are in need of a boiler repair, contact Excellent Air Conditioning & Heating, Inc. of Long Island. If you find that you are in need of a boiler repair for your Long Island home at 3:00 AM, we can help you. Excellent Air Conditioning & Heating, Inc. offers 24 hour service, seven days a week. You can rely on us for emergency services and repairs at any time. We specialize in emergency services and boiler repair, and we can help our Long Island customers at any time of day or night. We also offer boiler repair service on weekends as well. You can never plan when your heating system is going to malfunction in your Long Island home, but you can always plan on Excellent Air Conditioning & Heating, Inc. being able to help! 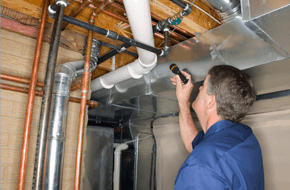 Our company offers quality services and boiler repair services for any location on Long Island. We will always work within our customers’ budgets for any boiler repair or services on Long Island. We only install the best brands, and we stand by the systems we install and the boiler repair we perform, in both commercial and residential settings on Long Island. For the most experienced technicians and quality boiler repair and heating services for your Long Island home or business, contact Excellent Air Conditioning & Heating, Inc. We also perform carbon monoxide testing. For water heating installation, heat services and boiler repair, our Long Island technicians have the knowledge, skills and resources to provide your home or office with a comfortable and relaxing atmosphere all year long. Excellent Air Conditioning & Heating Services is the top choice for boiler repair on Long Island. We offer many other services such as heating and air conditioning systems for both commercial and residential customers. If you are in need of a boiler repair for your Long Island home or business, call 631-427-0677.